Even Aksel Lund Svindal looked a little surprised as he looked at the green-glowing scoreboard at the finish. Joy was written all over his face; his comeback was a resounding success. Any doubters were silenced after the performances delivered by this 32 year-old athlete at the World Cup opening. “He’s back”, or “Svindal the Invincible” were just a few of the headlines circulating the net following that Sunday. After missing months through injury, the Norwegian burst back on the scene with a sensational double win in Lake Lousie (CAN). The five-time World Champion won the downhill one hundredth of a second ahead of Italian, Peter Fill, and easily triumphed in the Super-G, refusing to allow mistakes to affect his performance. Hard to believe that it is over a year since his last World Cup season. On 13th March 2014, he competed in what was to be his last World Cup Super-G for a while. This was followed by an accident in his leisure time resulting in a torn hamstring, an operation, several months of rehabilitation and two slots at the World Championships in February in Beaver Creek (USA). The Norwegian wanted to celebrate his speed comeback in the Rocky Mountains,where the “King of Speed” has celebrated no less than six victories. Two more victories were added to his impressive list last weekend. How things will continue for Aksel Lund Svindal after this season’s opener and who has the wherewithal to beat him remains a mystery. As does the name of who will win on the Streif, described by Svindal as “the most difficult challenge”. 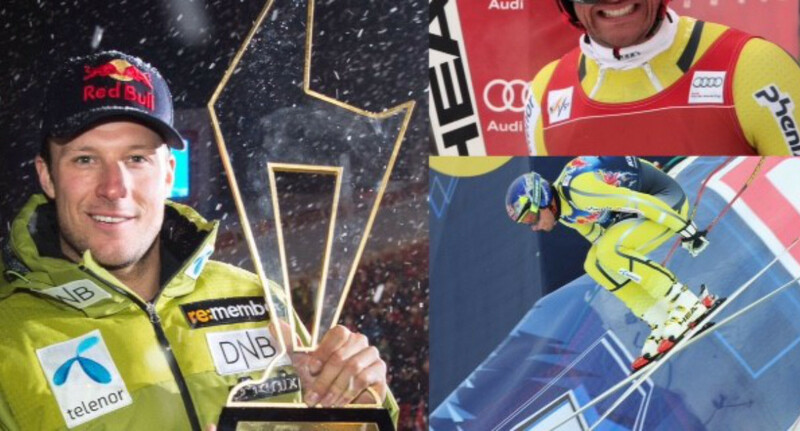 He has competed 36 times at the Hahnenkamm, winning on the Streifalm course for the first and only time in 2013. Whether he is able to repeat his second place ranking in the 2014 Downhill at the forthcoming 76th Hahnenkamm Races also remains a tantalising enigma.